The Bell 206 helicopter first flew in 1966 and the basic shape of the aircraft has remained unchanged since the first helicopters were delivered to customers in 1967. The standard 206 helicopter has seating for one pilot and four passengers, the 206 Longranger is, as the name might suggest, a stretch version and has space for the pilot and six passengers. These helicopters are very popular as training machines and are mostly used for sightseeing and pleasure flights. They can also provide a very cost effective solution for summer charter flights to sporting events such as Royal Ascot, Goodwood and the Formula One British Grand Prix at Silverstone. Airbus Helicopters is a global leader in both civilian and military helicopter design and production. As of 2014 there were over 12,000 helicopters in service, with over 3,000 customers, in over 150 countries. 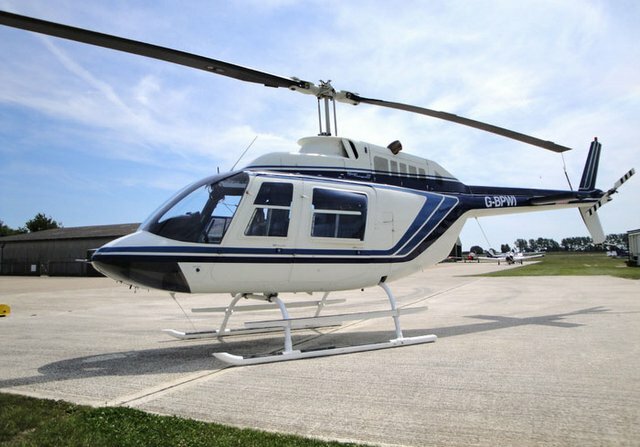 The EC120 Colibri helicopter is an incredibly versatile, five seat, single engine helicopter. It is in service with a large number of military and government organisations in a variety of utility roles, including offshore transport, law enforcement and medical transport. In its civilian guise the spacious interior and the fantastic visibility offered by the large windows and open cabin make it a perfect machine for both sightseeing trips and private charter. The EC130 is another single engine, light helicopter that was developed from AS350 Squirrel helicopter. It features an enclosed, or fenestron, tail rotor making it both a quiet and very safe machine. These helicopters are popular with many of the world’s largest sightseeing companies. The EC130 can carry up to 6 passengers at it’s incredibly spacious and uncluttered cabin make it a perfect charter machine for larger groups. The Robinson R44 Helicopter is a four seat, piston engined helicopter. These machines are most often used as training helicopters, or owned by private individuals. These helicopters are also available to charter and are perfect if you are looking for a flight for just two or three people. They are safe, reliable machines that allow customers to experience both the excitement and convenience of chartering a helicopter, for a fraction of the cost of larger machines.